After ten tours spanning the USA and dozens of cassette, CD and vinyl releases in the past two years, Californian Kevin Greenspon has exhibited an unstoppable work ethic. On Paradise A.D., 65 minutes of music from 5 limited edition cassettes are presented from the original master recordings. The collection ranges from songs such as "Rose Window"'s "Machine Shop," which Pitchfork Media calls "a sonic feast devoured in three all-too-short minutes composed of deliciously delayed guitar pickings and crunchy crescendo-ing soundscapes" to richly detailed tape collage detritus. Tome To The Weather Machine attests to Greenspon as "a master of dynamics on tape" and in the live arena, as dynamic arrangements of "heartaching drones... field recordings, gorgeous volume swells, strummed chords and contact mic squalor lap slowly into each other gracefully and naturally." 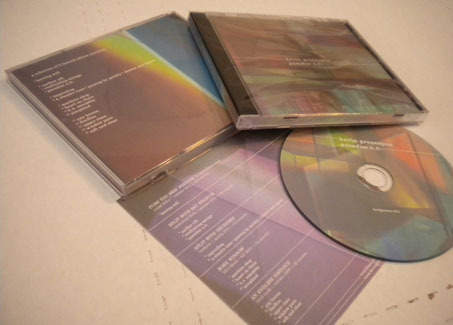 are collected on this limited edition CD, packaged in shrinkwrapped jewelcase with full-color artwork. 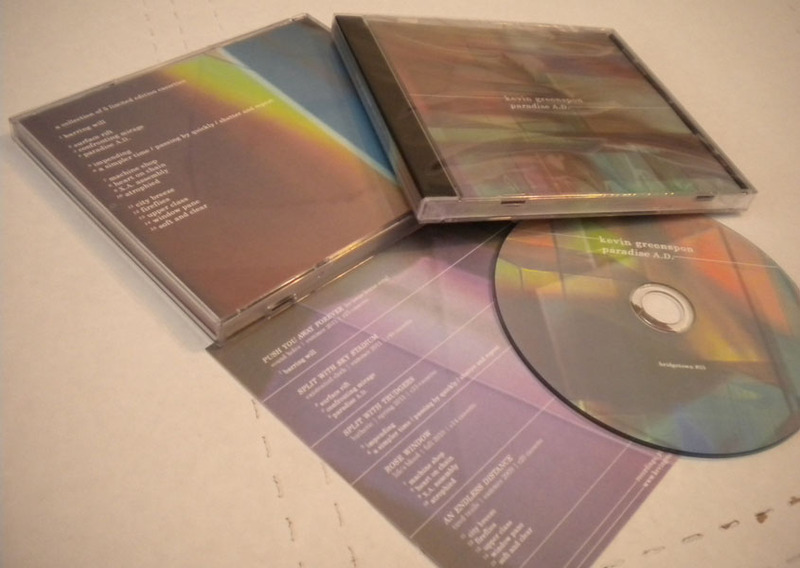 Edition of 325 pro-duplicated CDs packaged in shrinkwrapped jewelcase with full-color artwork.